Erin Hoffman-John is the Chief Designer and CEO of Sense of Wonder, an independent mobile developer of “smart fun” games, and an Assistant Teaching Professor at Carnegie Mellon University’s Silicon Valley campus. Prior to these roles, she led game design at GlassLab, a three-year initiative to establish integrated formative assessment educational games, which was supported by the Bill and Melinda Gates Foundation and the Macarthur Foundation. Her game credits include Mars Generation One: Argubot Academy, Kung Fu Panda World, and GoPets. 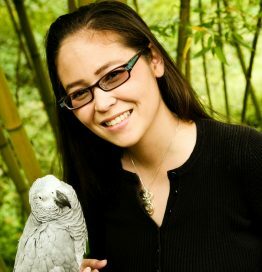 She is also the author of a fantasy trilogy with Pyr Books. For more information, visit www.makingwonder.com, www.glasslabgames.org, @gryphoness.